Potatoes, Strawberry, Tomato, Carrot, Lettuce and Thyme. Often planted with Garlic and shallots. Start with purchased bulblets, plant out in autumn or winter. Harvest bulblets from topsetting onions and use them as pearl onions in the kitchen. When plants die back, cured roots often yield a small shallot. 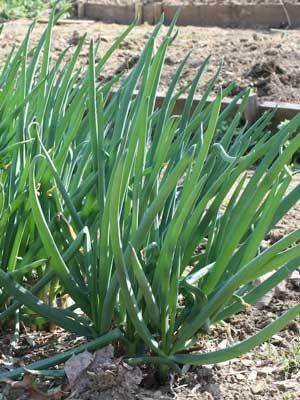 In spring or autumn, you can cut off small divisions for use as spring onions. Not recommended in the tropics.